Saleem Malik, the former Pakistan captain, met with PCB chairman Najam Sethi to request the board to review his life ban. Malik was given a life ban in 2000 by the PCB following an independent inquiry into the match-fixing scandal. "The PCB chairman met with Malik to hear his plea and will further review his case," a board spokesperson told ESPNcricinfo. "He approached us and offered his service for cricket and requested the chairman to reconsider his ban as he claimed that a court had lifted his life ban." In 2000, Malik became the first player to be banned from all forms in cricket after Justice Qayyum's report found him guilty. 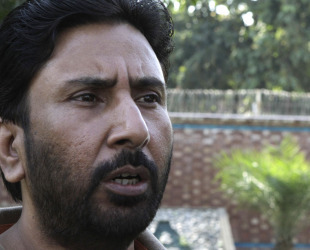 Malik's appeal against the ban in 2001 was rejected by the Lahore High Court, but seven years later another court lifted the ban. At the time, Malik expressed his interest in coaching and also claimed that the PCB had offered him the role of the head coach of the National Cricket Academy. The news of his apparent appointment drew the attention of the ICC, which sought an explanation from the Pakistan board. However, the PCB denied the offer. Malik then applied for the post of the national side's batting coach in October 2012 but was not considered. Malik last played international cricket in June 1999. He played 103 Tests, captaining in 12 Tests in 1994-95, winning seven. He is also one of four Pakistan players to have played more than a hundred Tests, and also featured in 283 ODIs.